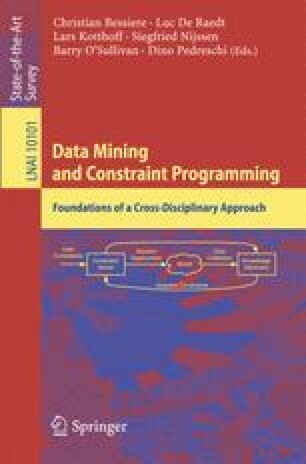 This paper provides an overview of the current state-of-the-art on using constraints in knowledge discovery and data mining. The use of constraints requires mechanisms for defining and evaluating them during the knowledge extraction process. We give a structured account of three main groups of constraints based on the specific context in which they are defined and used. The aim is to provide a complete view on constraints as a building block of data mining methods.